The financial management capability of Irish SMEs varies significantly. I have been working with many Irish SMEs over the past 20 years helping them to improve their financial management capability. Over time, I have observed a number of different stages that businesses go through as they develop their skill levels. I have set out in the table below the characteristics of the various stages that I have identified. Not every business goes through all these stages nor does they spend the same amount of time in each stage. A high potential business with external professional funding will usually put a high level of financial management capability in place from the start. A start up that is growing organically will usually develop their financial management capability as the business grows. Use the table to identify where you are and what you have to do to improve. Book-keeping Basic Record sales, purchases, payments and receipts. Payroll Calculations using payroll software. You should use the characteristics in the table to identify where you are now. Then you should ask if this is sufficient for you and for your business. Ask yourself if you have the appropriate skill levels to do what you need to do. Whereever you have gaps, then you need to put a plan in place to close the gap. This plan should identify what must be done, who will do it and when will it be completed. With many years’ experience working with SMEs I can help you complete your diagnosis and put improvement plans in place. I can help you by coaching your financial staff to grow in to their roles or, where necessary, by hiring appropriate staff. We can work together to create a practical plan to address the needs of your business. I am offering a two hour assessment of your financial management capability with no obligations on your part. This assessment will be restricted in that I can only offer one per week. If you want to have your financial function assessed, feel free to send me an email with subject “Assessment of Financial Management Capability”. A friend of mine, a retired banker with lots of experience dealing with owner managers, has a phrase he uses about those business owners that he feels are in control of their business. What he says is that ‘they know exactly how much it costs them to open their doors in the morning.’ Are you one of those businesses? Many people think that this is a very difficult thing to be able to do, but in fact it’s not. To know what it costs to open your doors, your first need to know what you will be doing when you open the doors. So you need to have a good sense of what the activities will be like the day or week. In the short term – ie next few weeks. In most cases that will not be too difficult. You may have an order book that will tell you what will ship the next few weeks. If its retail, you should have data over the last few years that will give good guidance on what happens at this time of year. Once you know what’s going to be happening, then you should be able to put costs on that. A good business will prepare a budget of some sort at the start of the year. When preparing that budget, the business will develop assumptions or rules about the various costs. You will use those rules throughout the year to help you anticipate what will happen and to convert the expected activity into reasonable cost estimates. If it’s a factory making products, the cost of the product will be made up of direct costs and indirect costs. Direct costs are those costs that are easily linked to the product. If I am making a chair for example I can see the timber that went into that chair, I know how much timber was needed and I know what it cost. The cost of timber in the chair can be directly linked to purchases of timber. Similarly, if it’s a convenience store, I can say that for every item that I sell, eg a litre of milk, then I must buy in a litre of milk in order to have it to sell. So the cost of the litre of milk is a direct cost. If I sell 10 litres I have to buy 10 litres. If I sell 200 litres then I have to buy 200 litres. Labour can also be a direct cost. Even though, we can’t point to a chair and see the labour that went into making it, we might know that a workman might make 10 chairs a days. So if we have to make 100 chairs then we can calculate that we will need 10 workmen to do that. As we know what a workman costs, we can predict our labour cost. These are costs where it is harder to make the link between the individual item sold and the costs that the business incurs. For example, if I have a convenience store and I pay €1,000 rent per month. I cannot link the rent to any particular sale – there is not a direct relationship. I may sell € 5,000 worth of goods on a Monday and € 15,000 worth of goods on a Saturday but the rent cost for each day is the same. These costs that are hard to link to a product are often called overhead costs. I think of them as costs that are hanging over the business and that vary little for different levels of activity. Indirect or overhead costs will include marketing costs, premises costs, office consumables, staff travel, professional fee and financing costs. In some businesses, eg a convenience store, labour costs are more of an overhead. I will have to staff my shop to a certain level even though sales for can fluctuate. For example, a restaurant will have wait staff on in anticipation of trade but the level of trade may vary significantly. For these businesses, we have to plan on having staffing levels that will not vary much will activity. When you are doing your budgets or projections at the start of the year, you list down all the different types of overheads that you have and you put in your best estimate of what is going to happen. In that way, you pull together some sort of projection of your P&L as to what your costs are going to be. You can then predict that if your sales are going to go up by 20%, your materials might go up by 20%. If your sales go up by 20%, but the mix of sales differs, your materials mightn’t go up in exactly the same way, but if you understand your costs and you understand your sales, you will have a very good idea of what is going to happen to your materials. Similarly, if your sales are going to go up and your activities are going to go up, you are going to have a very good idea of what is going to happen to your labour. Think back to the example about the chair making factory. So as a good business owner/manager, you will have a sort of sense of what is coming at you and you will be quickly able to turn that sense into rough and ready figures – but reasonably accurate rough and ready figures. Finally, you will be able to run through your overheads – certain overheads will not vary at all – rent for example. Other overheads, such as electricity, may vary. If you are running machines for longer, then you are likely to use more electricity. While some overheads are reasonably constant, there are other overheads that you will need to tweak. You know what is happening in your business and you should be able to estimate what is likely to be happening to your overhead from that. You can do that very quickly, you can do rough numbers or you can do it a bit more precisely. For most people, it is enough to be able to do this roughly. But how do you develop this knowledge? – That is the question I am most often asked. There is definitely an element that comes from experience, but even with the experience, it all goes down to understanding the accounts and the information that you already have about the business. If you prepare accounts every month and you spend some time understanding those accounts, and even better, if you have what I call a feedback loop, or a feedback control, you will quickly improve you understanding of what is happening in the business. The feedback loop can be summarised as Plan – Act – Review – Adjust. We’d say that at the start of the year you make a PLAN for the business, and then you go ahead and take ACTION to deliver on that plan. Out of that action you’re going to get results, so you look at the results, you REVIEW these results. When reviewing, you ask yourself – ‘Did what I expected to happen, happen?’, ‘Was it different?’, ‘Why was it different?’. As you review these results you’re going to get learnings. You absorb and apply those learnings and then you ADJUST your plans for the next period. Putting all this together, you start off with a budget or a projection (PLAN) , you run your business (ACTION), you prepare your accounts and then you go back and see how do my accounts compare to my original budget. What was different? Aah, I misunderstood that or something changed. (REVIEW). Through this review process you develop your experience. Then you take that learning and revise your projections (ADJUST). And that is how you develop your learning. And that learning helps you develop a good understanding of the costs of your business, and how they relate to the activities of your business. Then you will be one of those business owners who knows how much it will cost them to open the doors of their business. If you have any questions, or items needing clarification, feel free to drop me an email. Remember, we’re available if you want to improve your financial control expertise. In one of my recent blog posts, I mentioned the need for a business to create an annual budget. One of my readers contacted me, saying “I don’t really know why I’d need a budget if I’m already doing the basic bookkeeping”. So, in this post, I’m going to set out why I think budgets are so important for every business owner, whatever the size of your venture. However complex or simple your business model may be, you still need to be constantly monitoring progress and adapting your processes as you go. I come from an engineering background, and in that world we often talk about an ‘engineering feedback loop’, where outputs of a system are monitored and used to help the system operators decide how to respond and adapt to what is going on in the system. It’s not just engineers who exploit feedback. Pyschologists use an approach called Test-Operate-Test-Exit (TOTE), which is a process to apply the same approach to people. With the first Test of the TOTE, we consider what’s happening and make a plan. Then we move on to execute the plan – Operate. After operating, we Test again to get some data or information on what happened. Was the outcome what we expected, or did something different happen? In the final step, Exit, we use the data to decide whether to continue what we’re doing or whether to make changes, possibly even terminate the exercise. Your annual budget should be understood as part of a feedback loop for your business plan. We start off by creating a plan, which we express in financial terms as a budget. Then we operate the business, getting feedback from our management accounts. We use that feedback to make decisions – whether to continue as is, or to make some changes. So we are going about improving our understanding of performance and feeding that into our management – in short, we’re tracking how well you’re performing against that all-important budget, and then acting if change is needed. In the normal running of a business, it’s very easy to get caught up on the treadmill and not take time out for important reviews. But there’s real value in making the time to focus on your budget and to make proactive use of it. What will we be trying to achieve in the budget period? What will be happening with our key inputs – raw materials, labour, overhead, distribution etc? Your budget provides, indeed prompts, a forum for these key discussions about the direction of the business. And the budget process forces you and your management team to formalise those discussions, reducing them to a set of guidelines that will be used in developing the budget to make it work comprehensively for your company. Helping to anticipate what might happen. In the western films that I watched when I was younger, the wagon trail or cattle drive would send someone ahead to scout out the land coming up, identify obstacles and find the best path to be followed, while the main train or drive remained behind – in other words, they never put the whole wagon train at risk, only the poor scout who’d pulled put the short straw! We can’t really do that in a business – running a business comes with inherent risks that impact on the whole ‘wagon train’. But what we can do is to build a model of what we think is going to happen and use that to identify obstacles and make plans for how to deal with those obstacles. For example, when we prepare a budget, comprising profit and loss, balance sheet and cash-flows for a business with peak sales at Christmas, we might see that it’s necessary to build up a substantial stock in the run-up to Christmas. This means we’ll need to buy raw materials from our suppliers to build this stock up, but we won’t have sold the product yet and won’t have received the sales proceeds. So we’ll be spending, without recouping any revenue and that’s going to put pressure on our cash flow. By planning a sensible budget we can quantify the scale of the problem and plan how to address it. We might ask the suppliers for extra credit or we might ask our bank for an extra short-term credit facility – anything that eases the pressure of that increased outlay. But unless we run some numbers, we wouldn’t be able to quantify the issue – we’d be basing any decisions on estimates and guesses, and that’s never good practise. To prepare a budget, we start by making some assumptions about what will happen in the business and how the different elements of a business relate to each other. Depending on our experience and our knowledge of the business, the quality of assumptions can range from very poor to excellent. The only way we know how good these assumptions are is by comparing what actually happened with the budgets and studying the outcomes so that we improve our understanding. We gradually increase our understanding of what is happening. We improve our ability to predict. We also learn to identify key predictors of performance. We use these key predictors to make early interventions if things are not progressing as we expected – and keep the ‘wagon train’ on a safe passage through the pass. Using our budget, we can also determine some key metrics for the business. For example, we should always know the break-even point for the business – the point at which our gross profit will match our overhead costs. If the business is still in its early stage, the budgets can help determine just how viable that business is. Budgets and forecasts are very similar. They’re both financial projections of what’s expected to happen in the business in the future, with the aim of helping you move forward as effectively and profitably as possible. Budgets are usually annual while forecasts can be run as often as needed. Well-run businesses will prepare an annual budget and then prepare less detailed forecasts during the year. These forecasts will usually incorporate changes that are occurring in the business and help management decide how best to respond to these changes. Additionally, budgets are often used to set spending limits. In larger companies, the budgets are broken down by departments or cost/profit centres and individual managers are allocated responsibility for their portion of the budget. Usually, they won’t be allowed to spend in excess of a budget without first getting additional approvals from more senior managers – in other words, they place a restriction on the costs that department can incurr. In smaller companies, the control process won’t be as formal. Usually, an owner manager will hold the purse strings tightly. However, the budget can be used to help them decide on how much they can spend on different types of expenses and, also, if there are better times than others for spending. Once the busines owner know what their limits are, they’ll soon realise if spending is exceeding the pre-defined plan. An area that many businesses struggle with is product costing – working out the amount it costs your business to produce each product or service in your range. Some businesses use product costs to set selling prices. Even when prices are set by the marketplace, using product costs to understand profitability will help you determine if it makes sense to be trying to sell in the market place. Direct costs – these are usually the easiest to determine and will include things like labour and raw materials etc. Overhead costs – these can be more difficult, and can include things like building rent, repairs to equipment or utility bills etc. To determine overhead costs, the first thing we must do is determine the total amount of overhead costs we expect to have – that will be provided by the budget. Then we should figure out the best way of allocating the overhead costs to the products – effectively spreading the overhead costs across our products so that each product gets a fair share of the overall costs. While all elements of the costing process are important, we must start with a reliable estimate of what the overhead will be and that’s provided by the budget. So, there you have it – a number of strong reasons why every business, both small and large, should take the time every year to build a budget and to spend some time comparing actuals with budgets. Your budget is the financial foundation on which the whole of your annual business plan is built, so the more detailed, the more accurate and the more realistic you make it, the more solid your financial progress and agility will be over the course of the year. If you’ve got any questions about building a solid 2017 budget for your business, please do get in touch to see how we can help. What should a business owner do to make sure he or she has the best possible information at his/her fingertips? We’ve already discussed how to identify the key transactions of the business and also how to record the information that’s important to your business and pull it into insightful reports. Now let’s look at how you put this all into action. So, with your understanding of the financial basics, how do you start putting this knowledge into action and making your finances work for you? Firstly, you must have systems that are appropriate for the business and decide who’ll be responsible for the recording of information. The methodology for this and the level of detail you get into will depend on the size of the business. Secondly, you must list the types of reports you need and what types of information and analysis will help you prepare these reports easily. This involves adapting your accounting system to capture the information needed and making sure it’s easy to pull the reports from the system, no matter how simple or complex. Finally, you need to have a routine to help you check the information. You’ve no doubt heard the hackneyed phrase ‘garbage in, garbage out’ – it’s a truism that’s as applicable for accounts as anything else. When someone gives you financial information, you need to know how reliable this information is. So how do we sanity check your reports? And what should you be looking for when carrying out these reviews? In my experience, when business owners get their financial reports, most of them jump straight to the profit and loss report. However, I’ve learned that it’s more important to start with the balance sheet. The road runner was always speeding along a road, with milestones at the side. If he first passed the 5km mark and later passed the 15km mark, he knew (and we knew) that he’d travelled 10km in total. However, what if the 15km had been mistakenly put in the wrong place, say at 14km? The roadrunner would think he’d travelled 10km when he’d actually only travelled 9km! By relying unquestioningly on the miletones, our road runner is misinformed and doesn’t understand his performance correctly. Accounts are similar. The balance sheets provides the milestones and the profit and loss is a measure of the progress or profitability. If you get the balance sheet wrong then the profit and loss will also be wrong. I recommend that businesses start by looking at the balance sheet and ask if the figures for the various assets and liabilities look reasonable and reliable. If they’re reasonable then the profit and loss is also likely to be reliable. So, how do we check the balance sheet? We check the bank accounts by comparing them to the records that the bank has – the bank statements – and being sure that we understand any differences. The only difference we should have are timing differences; e.g. we pay a cheque but it’s not cleared at the bank yet. Accountants call this checking process ‘bank reconciliation’, but what you’re doing is simply proving your records are correct by comparing them to another source. We should also look at customer balances. I find that most business owners are very much on top of who owes them money. If I give them a list of customer balances with something wrong then they’ll quickly tell me. So check your customer balances, look for anything that looks dubious and correct when you find something that needs correcting. Remember, if a customer balance is wrong then your sales figure could also be wrong. Lets move on to the supplier balances. Again, most business owners are very aware of who they owe money to, so they will quickly spot anything that’s wrong and we can fix that. Again, if supplier balances are wrong, then your purchased costs could also be wrong. Your inventory or stock number is a key figure in your accounts. If your inventory is overstated, this has the effect of making it look as if you got stock for free so you profit will be overstated. If your inventory is understated, then it looks as if you lost stock somewhere so your profits will be understated. It is very important to get your inventory or stock number right. Finally, we can quickly look at the other assets and liabilities that might be in the balance sheet and check if they look ok. For example, if there’s machinery or equipment listed in your assets, do the balances look ok? If there are tax liabilities, do those amounts seem right? Once you are happy that your balance sheet is reliable, then you can rely on the related profit and loss account. There’s one section of the balance sheet that sometimes confuses clients. This is the section called ‘shareholder funds’ or sometimes called ‘owners equity/capital’. In essence, this section represents the value of the business to the owner. To understand shareholders funds, you need to ask the question, ‘If the business makes money, who does that money belong to?’ The answer is that it belongs to the owners. So the difference between what the business has (the assets) and what it owes (the liabilities) represents an amount owing to the owners. We think of it as a liability to the owners and we call it shareholder funds (or owners equity) for companies or owners capital for non-company businesses. Shareholders funds are reduced by moneys taken out of the business as dividends or drawings. So the difference between any two balance sheets represents the profits made by the business in the period, less any profits taken out in the same period – in other words, the profits kept by the business. Your reports are a real goldmine of information. So I recommend to my clients that they get into a routine of regularly – at least monthly – reviewing and checking their reports. By regularly looking at your reporting, you learn as much as possible about the business and can quickly identify where action may need to be taken. If you are familiar with the ‘Lean thinking’ approach to business, you may have heard about the three voices in any business that give feedback, helping you to manage and improve. The first voice is the voice of the customer, giving feedback on the quality of the service your business is supplying to them. The second voice is the voice of the people working in the business. They see up close what’s actually happening and are often an untapped source of information regarding how well the business is operating. The final voice is the voice of the process. We access the voice of the process by identifying the key measurements that let us know how the process is doing. Your accounts should be looked at as a voice of the process. When your accounts are designed and implemented well, they provide extremely valuable information about the performance of the business. So, rather than thinking of accounts as a compliance-type chore, think instead of the rich information that’s hidden within your accounts – and consider how best to access this. When you understand your accounting basics, the value of good reporting and the insights provided by your business numbers, you’re in real control of your enterprise. And when you add the benefit of working with an experienced, process-driven accountant, you’ll soon start to the postive changes and improvements in your sales, cash flow and the profitability of your business. If you’d like to know more about working with AccountsPLUS, and applying our ‘engineer’s perspective’ to the machinery of your accounts, please do get in contact. We’d love to help you get complete control over your finances and business performance. Understanding the nuts and bolts of your accounting really does give you an advantage as a business owner. As we outlined in our last blog post, breaking down your transactions into inputs and outputs (and thinking like a process-driven engineer) is the first step in getting in proper control of your accounts and finances. The next step is to start thinking about the process that takes the inputs and outputs – the transactions – and organises them in a way that provides information and insights. To get useful business information, we need to group the transactions in a way that makes sense. At its simplest, we can think of sales, expenses, assets and liabilities. However, accounting packages allow us to get even more, and better, analysis. We can group the sales by product type or by customer type or by customer region. We can group it by salesperson or by selling unit. We can group sales by best-selling product or poorest-performing product. By thinking this through when we set up our accounts, we can design the system to provide invaluable information about how the business is performing – information that keeps you in control of the future financial path of your enterprise. One-off projects – where he helped implement improvements for clients. Recurring income – where he was retained by clients on a part-time basis. Training income – where he provided custom in-house training courses for clients. However, it also became clear from our discussion that he was most focused on increasing the share of sales that was coming from the recurring income. He’d set a goal of increasing that recurring income to be 66% of his business, but at present he had no way of measuring that – and no way of telling if he was meeting that percentage target. I recommended that he use an accounting package and group his sales into four categories: Projects, Recurring, Training and Other – a final category, to catch anything that was not in the first three. As he raised his invoices, he could then select the relevant category for the type of sale. After that, at any time, he can run a report which summarises the sales by category. And, by doing so, he can easily see if he’s on target or not. By adding these specific categories into your ‘Chart of Accounts’ (the list of different codes in your accounting system), we make it incredibly easy to track and measure every element of your business and its finances. We can apply exactly the same categorisation and coding process when looking at expenditure – the cost element of your transactions, where you’re buying from suppliers, whether for resale or for use within the business. Financial costs – such as bank repayments etc. Within those categories, we can create subcategories to provide additional analysis as we choose. You should choose the categories. The accounts should be working for you – not just for the bank manager, and not just for the Revenue. Some companies have one ‘big’ expense type in their accounts, while others will chose to break a category down if they think it will help understand what’s happening in the business. For example, some companies have one category for telephone while others split the telephone cost into mobile and landline. It all depends on what’s most useful for the business. And, crucially, if you have an accounting package then it’s no additional work to simply create a new code in your Chart of Accounts and add a new expense category. Additionally, many software packages provide a facility to group costs by job or project. While it’s easy to see how this might be useful for a construction company or a project based company, it can also be applied cleverly for other companies. For example, I have one haulage company who use “projects” to gather the expenses for each truck. In this way, they can easily track fuel, repairs and running costs etc, by truck and can then decide which trucks need to be replaced. It might also indicate if some drivers are more fuel efficient than others. So think about the type of business that you have and what type of information would be helpful to you in running the business. It’s probably a whole lot easier than you think to code, capture and collate this information. We’ve outlined how to understand your inputs and outputs, and how to turn this data into insightful reports regarding the performance of the business. The final step is to combine your basic accounting and financial reporting with a proactive focus on your performance – a topic we’ll cover in the last blog post of this series – “putting your accounting knowledge into practice“. If you’re looking for assistance with your reporting and business information needs, please do get in contact with us and we’ll show you the ropes. I was a latecomer to accounting. I first completed a degree in engineering and only moved to accounting after that. Almost everyone who heard what I was doing told me how difficult I would find it and that I would struggle to get to grips with it, never having done it before. However, I actually found it find quite straightforward and not nearly as daunting as I was led to believe. While there’s a lot of jargon that can be off-putting to someone new to accounting, it becomes a bit easier if you try to think of it in terms of processes with inputs and outputs, as an engineering training would encourage. Let’s start with the inputs. It’s useful to start by thinking of your accounts as a database of all the various transactions that happen within your business. So the first thing to do is ask what sort of transactions go on in your business – and, funnily enough, the types of transactions are relatively common across most businesses, regardless of industry and sector. Sales – every business sells something to customers. This means that we need to record our sales and we need to have customer records to track what we’re doing for each customer. Purchases – The business will also buy things from suppliers. This means we need to record purchases and we need to have supplier records to track our activity with each supplier. Payment and receipts – Finally, we need to receive and spend money, so we need a way to record these as money in and money out to/from the business. That gives us three main types of transactions – sales transactions, purchase transactions, and payment/receipt transactions. Next, we need to think about how to capture and record those transactions – creating the financial records that, ultimately, will become your accounts. There are a number of ways of setting up and maintaining those records. You can have paper records (traditional but on the decline in the digital age), you can use Excel spreadsheets or you can buy accounting software. Unless your business is very small, it’s better to use accounting software. Most accounting packages will do what we need fairly easily. However, if the software is well designed, it can also give you a lot of other useful information that would be impossible to collate with paper files or Excel files. Next, we should move to focus on the outputs for the business. What sort of information do we need our accounting records to provide? Business health – we need a measure of how well the business is doing and whether were actually getting a return on our investment (both time and money). Financial reporting – we need reports that will prompt us when actions are necessary; i.e. when to pay a supplier, or when to chase a slow-paying customer. Business performance – finally, we need information that will help us to understand what’s going on in the business and why we’re getting the results we’re seeing. To understand how well a business is doing we need to know the ‘net worth’ of the business. The net worth is the difference between what a business has and what that business owes. Accountants call “what a business has” the assets of the business and they call “what the business owes” the liabilities of the business. So the key report in accounting language is the ‘balance sheet’ as this lists the assets and the liabilities of the business. The other thing you will want to understand is where the business is getting money from and where it is spending money. You probably already know that this report is the ‘profit and loss account’ (we’ll talk about this more in a future blog post). It’s the report that shows how money moves into, and out of, the business – a vital way of measuring performance. So, we’ve explained the basic nuts and bolts of accounting for you. You now understand the importance of breaking your transactions down into the ‘inputs’ and ‘outputs’ that explain the flow of money through your business. The next step is to start turning these financial transactions into insightful, useful business information – a topic we’ll cover in the next in this series of blogs. If you’d like some help to understand your accounting basics, please do get in touch with us and we’ll be happy to help. As a business advisor, I get to see a lot of different businesses and their finance functions. At one end of the spectrum, the finance function just does the basics i.e processing invoices, managing cash and preparing the core reports. At the other end of the spectrum, the finance function is a key strategic partner to the senior management – whether that be an owner-manager or a full management team. And between those two extremes, there can be a range of options. In this article, I will set out what I consider to be the key elements that make up an excellent finance function. No matter how the finance function is structured, it is essential that the management team have access to resources to help them understand, interpret and communicate the relevant data needed to support them in keeping the business on track. In my experience, there are 6 key elements that come together to create an excellent finance function. Firstly, the basics must be in place and must work unnoticed. There will be appropriate systems that process the transactions – sales invoices, purchase invoices, receipts and payments – smoothly and efficiently. Key controls must operate to secure the assets of the business. The basic reports must be readily available within short timeframes. Essentially, we are looking at a lean operation – delivering what the customers of the function need with minimal intervention. The one thing that can be guaranteed to cause the users of financial information to lose confidence is if the basic information is not reliable. Next, consideration should be given to the type of information and analysis that will be useful. The systems should be designed to collect relevant data and be able to report easily on the data. Management should have considered what type of analysis will be required and the finance systems should be designed to capture that key information when the core transactions are being created so that the reports are available with minimal extra manipulation. For example, if a distribution company has a goal of maintaining its sales to multiples while significantly growing its sales to independents, I would expect to be able to be able to quickly pull reports that show how sales are split between multiples and independents. To do that, each customer will be categorised and then finance can easily run a report showing sales by customer category. An excellent CFO will have a very good understanding of the business and will be always aware of what is happening. To be able to evaluate how events will impact on the profitability and on cash flow, the CFO will intuitively understand the relationships within the business. For example, if sales in the business are switching from high labour products to low labour products, the CFO will have a sense of the impact of this and this would likely trigger an analysis of the specific impact on headcount enabling the business to respond proactively. To develop this awareness, the CFO will spend time walking around the business understanding what happens within the business and talking to key people whether that be operators or management. This CFO will have good relationships with the other managers and will keep himself or herself informed of what is going on in the business. I would expect the CFO to run projections a several times a year and then to compare the projections with the outcomes. In this way the CFO will be testing and developing his/her understanding of the business. The third pillar for an excellent finance function is to be able to influence key people. These key people can be management colleagues, direct reports, funders, customers or suppliers. To be a key influencer you must know what is important to the audience and you must be able to communicate simply and clearly. A great CFO will understand that Finance is a support function and that its role is to help operations and the other departments to deliver the product or service. Because everyone will not have financial acumen, the CFO will be alert for opportunities to help the other functions and to use finance constructively for the benefit of the business. It is also important to be able to nurture that attitude throughout the finance staff. The CFO can’t do everything and needs to have a like-minded team around him or her so that the CFO can delegate well while focusing on what’s important. This is done by hiring well, by managing well and by being an excellent role model for how an excellent finance professional operates. When a finance function has the basics right, curates key information, understands the business, operates supportively and is a key influencer, the function can then respond resourcefully for the business by evaluating the events that are happening so that opportunities can be grasped and problems can be anticipated. It’s probably true to say that for a really great CFO, technical ability is less important than the CFO’s ability to influence strategic discussions with useful analysis of timely, relevant and accurate data. This ability comes from understanding how the business works, understanding what’s important to the business and to the management colleagues and then being able to use that understanding to make a difference to how the business addresses the key issues that it faces. Having read this article, what are the elements you need to focus on in order to improve your finance function? Why not rate each element as it is in your organisation. 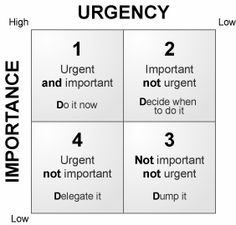 Then prioritise the elements you need to work on, preparing a one-page plan with attachments around specific action plans if required. If you need help developing your one page action plan, feel free to contact me. In his highly acclaimed book ‘Good to Great’ Jim Collins suggests that employing, leading and managing staff is like taking a bus trip. In doing so he outlined two philosophies related to how business owners get the best out of their people in helping them to achieve their goals. The first suggests that business owners need to have clear direction as to where they are going and then select (or retain) the people most likely to help them get there. This means that planning related to target markets, sales, marketing, technology, and innovation should take place prior to decisions about who will be the best people to assist in the achievement of set goals. This would mean that business owners need to decide where the bus is going and then get the right people on the bus to help them get to a prescribed destination. It raises the question that if people join the bus because of where it is going, what happens if you get ten kilometres down the road and need to change direction? It is highly likely that this will create a misalignment between the new direction of the bus and the skills, values, needs and aspirations of the ‘passengers’? Collin’s extensive research has revealed an alternative strategy used by many successful businesses whereby they first decide who is going to be on the bus and then decide what direction the bus is going to take. In other words the right people will help you determine where you need to go and then help you get there. This finding supports the belief that if you start with the type of people you need rather than where the business is going, your business will be able to adapt more readily to change. It also reinforces the fact that if you have the wrong people on the bus it won’t matter if you discover the right direction, you still won’t achieve your goals. As Collins states, “great vision without great people is irrelevant”. Leadership – It doesn’t matter that the direction of the bus changes over time as long as the business is not rudderless (a mixed metaphor) and staff are involved and communicated with in terms of the overall goals and targets of the business. (see Leadership Diagnostic in this issue of XceLerator). Purpose – Greater meaning and job satisfaction is derived from the belief that our work serves a worthwhile purpose. This is what gives us a sense of achievement. Recognition and Reward – All staff need their efforts recognised. This may range from a pat on the back to staff award, pay rise or bonus. It is a clear signal that their work is needed, respected and makes a difference. Opportunity – Staff need to feel that there is opportunity for their progress and development, both formally and informally. Relationships – These can be both internal and external. The more positive the relationships with our fellow workers and our customers the better we tend to feel about our work. Job Fulfilment – The work needs to be satisfying and meet their professional, emotional and intellectual needs. Work-Life Balance – While work is an integral part of their lives, staff need to achieve balance and not feel that other important aspects of their lives are being consistently sacrificed because of their work circumstances. If your staff are not “on the bus” and are not actively helping you to achieve your goals, you may do well to reflect on the seven key drivers of engagement and assess where you as the leader can improve the workplace dynamic. Mindshop facilitators have particular expertise in identifying productivity blockages and helping businesses to create more productive and rewarding workplaces.